I didn’t have far to go today, but I did have to negotiate the first tidal rapid of the trip. With a small, relatively fast, and maneuverable boat, I have some flexibility with timing. But if it’s preferable to hit the rapids at slack water, and today that was easy. Slack was at about noon, and I was 15 nautical miles away. Without far to go, I left Toba Wildernest at 9:00 am and cruised to Stuart Island at displacement speed (5.5 knots). The sun was out again today, and the wind was light. 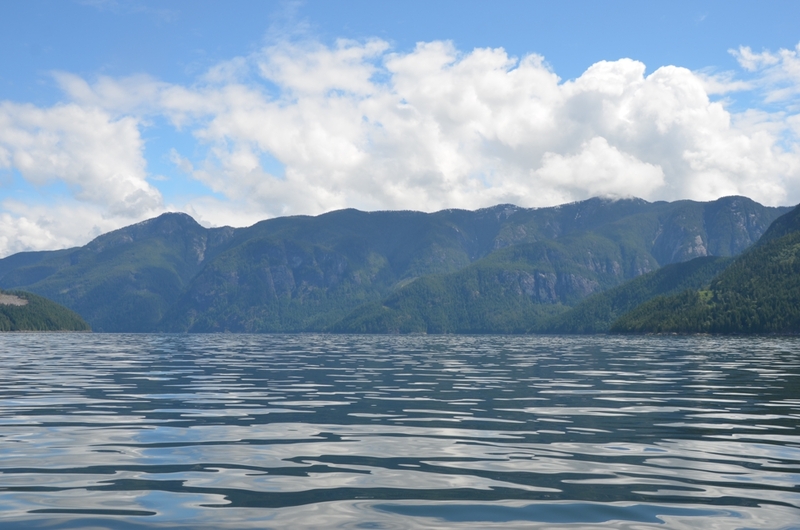 Despite generally good weather, there’ve been few boats in Desolation Sound. It’s much more pleasant this time of year than in July and August. I arrived at Yuculta Rapids almost exactly at slack water and proceeded to Stuart Island Community Dock. I’d never been before, but the hikes sounded interesting and I was curious to watch the rapids (and boats transiting them) from the dock. After I arrived I had a quick lunch, then walked to Eagle Lake. The walk wasn’t far, maybe 15-20 minutes each way, but it was quite pleasant. 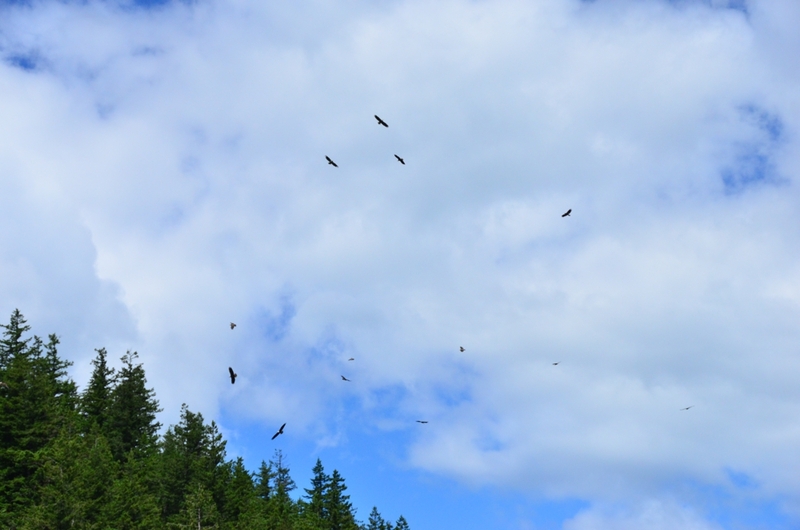 When I arrived a couple dozen bald eagles were soaring above the lake…very impressive! I continued walking, hoping to get to Arran Rapids, but the trail quickly deteriorated and I turned around. How many eagles can you count? The store was still closed for the season, but I’m told it will open soon. 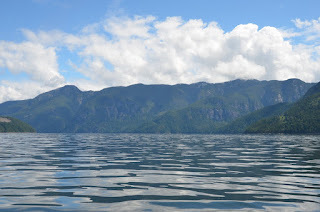 Tomorrow I’ll head to Blind Channel, unless the weather forecast for Johnstone Strait improves. Tuesday looks like a decent time to transit Johnstone Strait to the Broughtons.